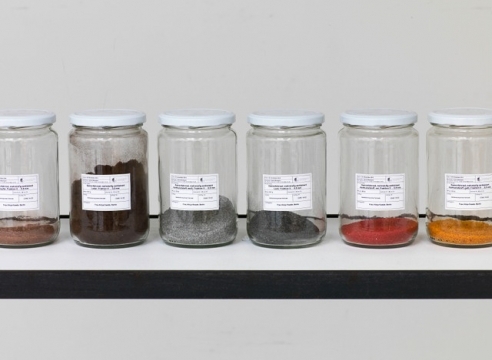 The sculptures, video works, and installations of Alicja Kwade (b. Katowice, Poland, 1979; lives and works in Berlin) explore economic, scientific, and socio-cultural systems and their inherent uncertainties. For example, the artist traces the flows of money through the financial markets, which are based on probabilities and projections and always involve a degree of risk. She also reflects on the phenomenon of time, an elementary constant that cannot be understood outside ever-shifting interrelations. Alicja Kwade’s oeuvre is itself an open system: she employs transformations, mirror images, doublings and replications of materials and objects to develop realist fictions that amaze and surprise the beholder and raise questions concerning functional contexts as well as ideas of value. Her installations frequently feature recurring motifs such as the clock, the mirror, the stone, the lamp, light, the surfaces of certain materials, and (porcelain) figurines. These elements bring their own temporality to bear on the ensemble while also gesturing toward a rich iconographic tradition in art. 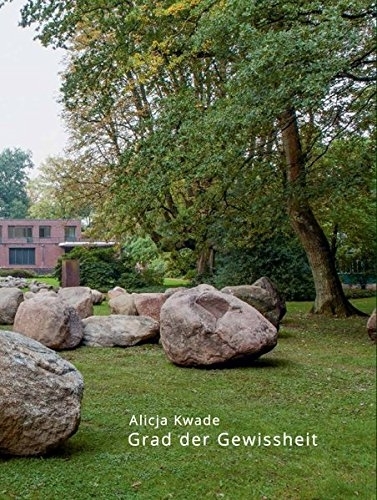 “Grad der Gewissheit” is Alicja Kwade’s third monograph published by Distanz. With essays by Sylvia Martin, Vanessa Joan Müller, and Robin Schuldenfrei.